For my K-2 students, I always want to try and see how their balance is. There are many ways I can test this, but the bucket stilts are the best. 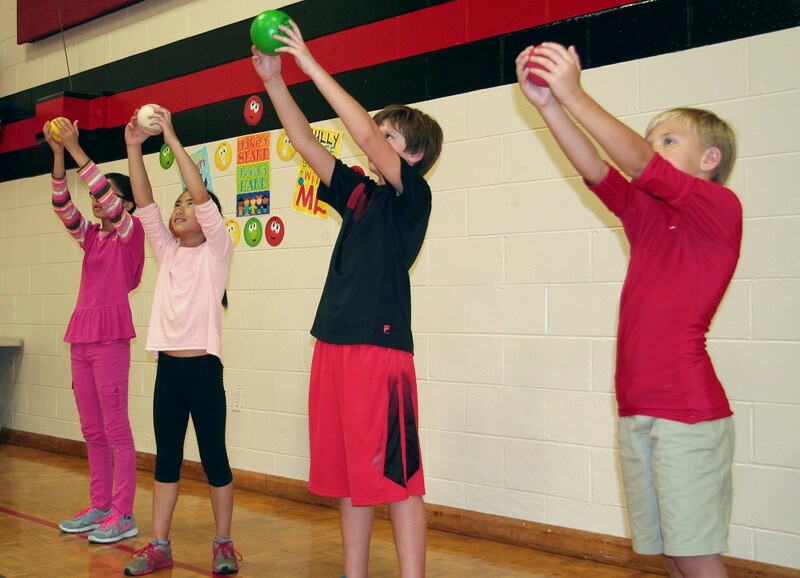 Hand-eye coordination as well as balancing are crucial for this activity. I usually split the group into 8 sections, 4 at half-court, and 4 on the other side of the gym. The more groups you have the less waiting there is. Students are to walk to the group in front of them, and then hand the stilts off. It can be a challenge to get on them sometimes, but their partner behind them can help them out. To make it a little bit more challenging, I will add some noodles on the floor to have students work with pathways on how to get around the object or over. We call them logs. Students love the stilts once they get the hang of it. I have incorporated them into stations, if we do that for P.E. that day. 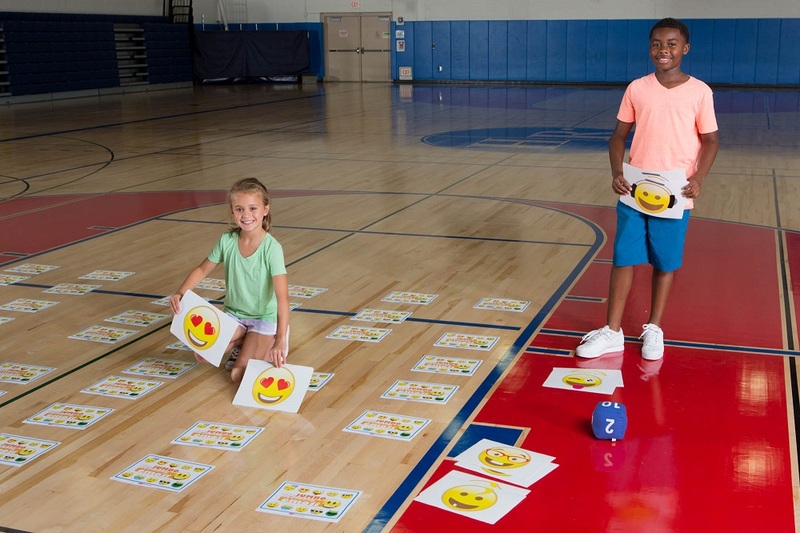 I also go over the locomotor skills with my K-2 students. They are usually assessed at the end of each quarter to see where they are. The hardest locomotor skill for them to master was the leap, so I made a game out of it for them. I space out 3 mats, with cones in between them that are used as thorns for them to leap over. We go over the critical elements for the leap several times, but I add a challenge for them as well. Place one poly spot at the start (green) and one poly spot at the end (red). Students leap onto the first mat and make their way across to the next, but the only way to advance would be to leap to the next. This activity incorporates walking/running while on the mat. If students hit a thorn, then they need to jump back to the end of the line. While waiting in line, I had students jogging in place, this way their activity level wasn’t going down. I enriched the activity even more by adding more mats into the equation. Also, by changing them in different directions to work with pathways/directions. 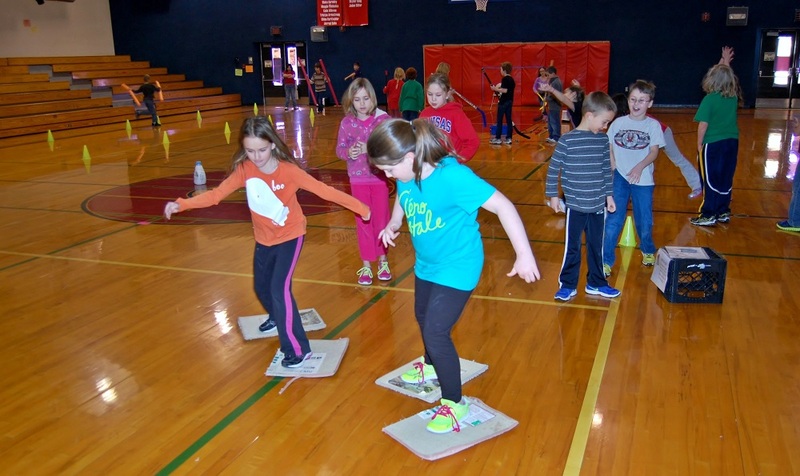 If it got to a point where all students were mastering the leaping skill, I would add cones on top of the mats. This way they could work with the leaping skill while on the mat. Safety issues were discussed with the students about being careful in the air and to maintain balance, so they wouldn’t fall on to the floor. Students loved this activity. Not only is it better than having them perform the skill down and back in the gym, it has them use critical thinking of how to time their leap, but also involving it into an activity was something else they liked. Drew Burris is in his 7th year of teaching Physical Education at La Monte Elementary in La Monte, MO. He has been published on PE Central Several times, won the 2015 Star of the Classroom, won the 2016 CTA Teacher of the Year, and has presented his ideas at MOAHPERD twice. Drew says the best part of his job is seeing the students learning and also having fun being physically active. 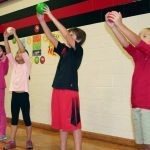 Drew has a website: projectphysed.weebly.com with all his and other physical educators content on it. 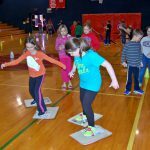 This entry was posted in PE Activities & Games, PE Central and tagged balancing, Bucket Stilts Relay, fitness, Games, grades k-2, k-2, locomotor skills, PE, PE activity, PE Central, pe teacher, PE Teachers, physed, physical activity, Physical Education, teacher, teacher tips, Teachers, Thornbush Madness by Guest Blogger. Bookmark the permalink.